The circaid reduction kit is a unique component approach during the decongestion phase. 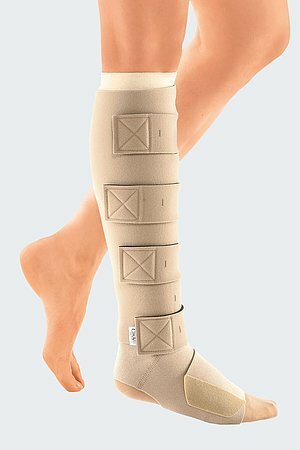 It is an adjustable inelastic compression device system for the arm and the leg. The components create a customised solution that drives decongestion and enables patient participation from the first day. The patient is empowered to continue the therapy away from the clinic which improves overall outcomes. The components can be customized for unique limb shapes. 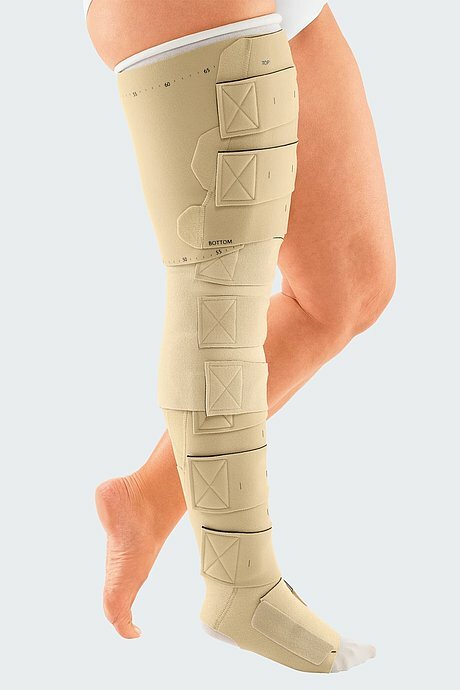 The circaid reduction kit can be easily adjusted and trimmed as the patient progresses. 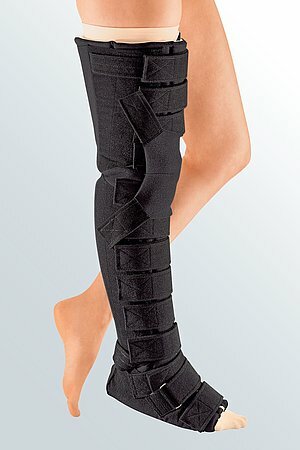 It provides for the extra-wide patients and challenging shapes. 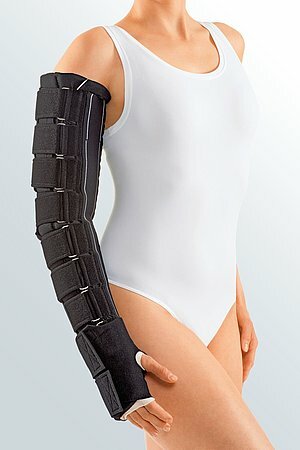 The Built-In-Tension system (BTS) supports a repeatable level of tension. This establishes a new level of freedom for the medical professional and patient as they are not limited of clinical visits to reapply traditional bandages facilitating steady progress during decongestion. 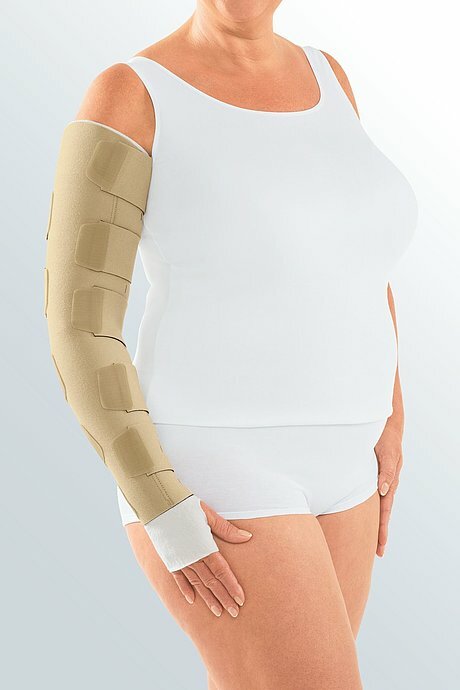 The circaid reduction kit sets the stage for long-term maintenance devices with a motivated, engaged and decongested patient who has now taken control of their lymphedema. Great reduction results during the decongestive lymphatic therapy. A wide variety of reduction kit components enables customisation on a per-patient basis.